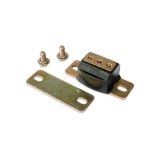 This easy one stop kit includes a pair of Poly Graphite motor mounts, and a poly transmission mount. 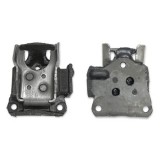 Soft stock rubber mounts can not take the abuse from the power and torque of high performance engines. 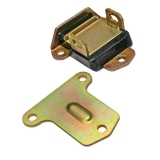 Energy Suspension mounts can take the abuse of todays high performance engines. Poly Graphite bushings can last longer than stock rubber bushings while handling more power, and are able to absorb most drive line vibrations. These mounts will give you a comfortable ride while putting the power to the pavement.